Art lovers BEWARE: Moscow’s Tretyakov Gallery ‘graced’ with bizarre ‘performance’ | We Seek the Truth! 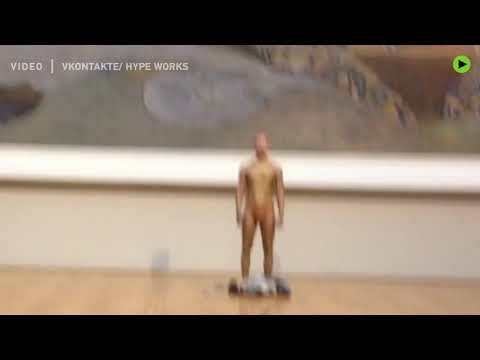 A near-naked man has baffled visitors at the Tretyakov Gallery in Moscow. While the gold-painted man distracted museum-goers, his co-conspirator snuck his own “art pieces” on display.